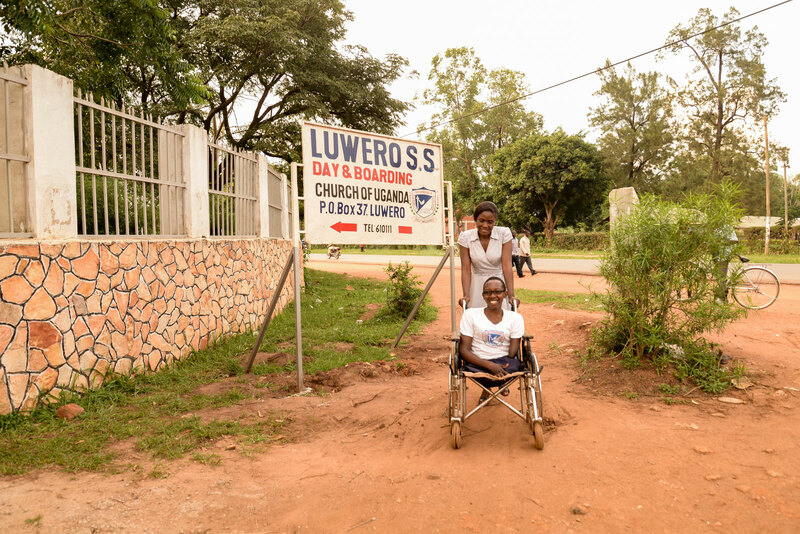 Meet Grace, an 18-year-old girl with only one limb but with three important life lessons to share. Have you ever met someone who in just a few seconds put everything in your own life into perspective? I have. And I want you to meet her too. Perhaps her photo alone makes you look twice? And it should. See, Grace was born with one limb—her right arm, half a limb on her left arm and no legs. I’ll let her take it from here. Grace’s mother Birasasira her and father loved their daughter from the moment they held her in their arms. “I loved what came out of my womb, that God created within in. Her father loved me too,” says Birasasira. But to her dismay, some of her in-laws rejected Grace. They demanded the baby girl be killed, but Grace’s parents refused: they considered her a gift from God. The pressure mounted as family members threatened her father’s life if they refused, but her parents stood firm to protect their daughter. Grace’s father was attacked and murdered while working as a security guard. 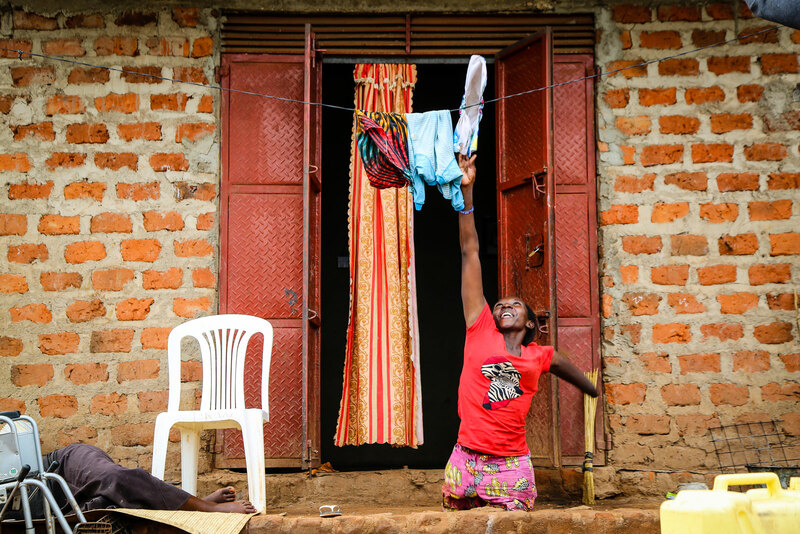 “My mum felt like she should move to Uganda to keep me safe,” says Grace. Fleeing to Uganda, Birasasira, her four older children and baby Grace moved into a simple grass-thatched home. 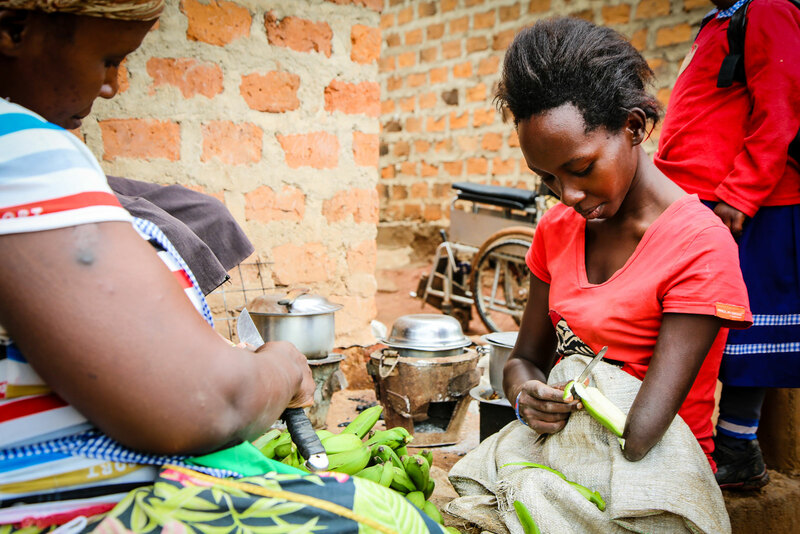 With no land and nothing to her name, Birasasira struggled to provide for her children. She earned income by working in her neighbour’s gardens. “When we arrived in Uganda my relatives here also believed I was a curse and so my mum made arrangements for me to stay with a lady called Betty [to keep me safe]. I lived with her for seven years,” says Grace. Despite already having a large family herself, Betty was moved with compassion towards Grace’s situation. “I knew that her mother and she were refugees from Rwanda and that they were having family disputes over Grace’s disability,” she says. “I had a big family myself with nine children but we bonded so strongly when she joined us at four years of age that she became family. It’s as if she is my own biological child—we connected that divinely. The encouragement Grace received from the Compassion staff will always stay with her. “I remember feeling so good when they would tell us that we are all made in the image of God. They used to tell me ‘ God has a good plan for you’.” Project director Michael Masba was the person responsible for registering Grace into the Child Sponsorship Program. “Compassion is here for children like Grace,” he says. For Grace, the most impacting part of the Child Sponsorship Program was learning about Jesus’ love for her. “I used to be full of bitterness and through the program I was able to be liberated from that wrath and anger and given a heart full of love. The program also gave me school books, hygiene items, blankets, a mattress and school tuition. It was also Compassion that secured for me a wheelchair as I did not have a way to move around. I came to realise that it was God who had kept me alive and he must have a purpose for me. Compassion encouraged me to build my self-esteem, not live in self-pity. My motto is that disability is not inability. With God, all things are possible. I have three things I want to tell people. 1) You are not a mistake. You were created by God and you have a purpose. 2) That purpose has a significant place on this earth. You have a contribution to make. 3) Regardless of how others sees you, your worth and value comes from God. In the Bible there’s a verse that talks about how the last will be first and the first shall be last. Grace personifies that. In her culture she is amongst what the world would term, “the least of these”. But her resilience, positivity, deep relationship with God and bone deep belief that she will fulfil her purpose in her generation humbles you to your core. The smiles in her photos are not fake, they are what true joy looks like. Joy that surpasses circumstances and comes from the throne room of heaven. And that joy is new every morning and served with a heaping of grace upon grace upon grace. Words and photos by Helen Manson; additional reporting by Caroline Mwinemwesigwa.